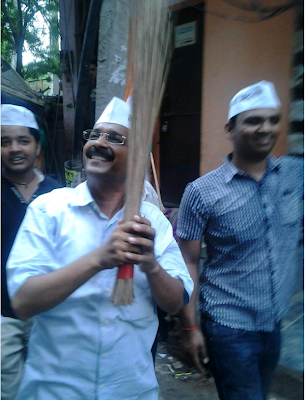 The Aam Aadmi Party (AAP) was allocated 'broom' as its election symbol for the upcoming Delhi Assembly polls by Election Commission. AAP said in a statement issued on Wednesday "The broom symbolizes the dignity of labor and is apt for our goal of cleaning up the polity of the country". Good election symbol selected by AAP. I wish them good luck and success. Well that's a unique way of looking at it.